SSD Group based in Plymouth is your local specialist for everything dental, whether you’re needing building services, IT services to veterinary services too. SSD are the only dental engineering company in Exeter which offer a dental engineering resource that can display our qualifications to you and stand by them with integrity and experience. 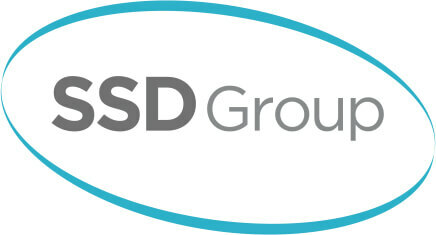 SSD Group is currently one of the biggest dental support specialists in Exeter. We guarantee that quality is always delivered from when you first call us to when the project ends. At SSD Group in Exeter we work very closely with entrepreneurs and enable them to effectively grow their business. Technology within the dentistry field is gaining in importance rapidly, so here at the SSD Group, we feel it’s vital that any technology needed for business is repaired in a very timely fashion to ensure there is as little disruption to your clients as possible. Over the years, SSD Group has grown and now offers IT support, full solution systems and SS Dental growth. SSD Group, pride themselves on outstanding technical knowledge, understanding our client’s needs and boast a large array of support services. The main aim of the SSD Group is to provide the best and most transparent journey, customer service being at the forefront of everything we do. We set up SSD buildings services to help complete our dental customer’s journey. We always have quality in mind to deliver projects without recalls and snags to give our clients and their clients long lasting results. We offer building services by collaborating with select companies and tradesmen who have been vetted by us to meet our quality standard. We aim to give all our customers the best quality available and would only be happy leaving with you with equipment that provides the best outcome for your clients. Technology can be stressful, but we want to take the stress away for you. SSD have an in-depth scope of technical knowledge, to build and maintain client’s business needs and flexible IT services. We can help from laptop repairs all the way through to the deployment of multi-site server systems. We will always deliver a cost-effective IT solution that provides our clients with the best quality. This is what we always strive to do. SSD can help understand and create business support to transform your practice into a secure business with a long-term future. With vast experience in working with dentists throughout Exeter and the UK to gain knowledge of what services and requirements are needed for Dentists today. We aim to understand professional requirements and provide clients with information in a format that they can always understand saving both time and money and quality. SS dental want to help with animals’ dental problems. We choose and select manufacturers and send the best engineer with the correct background to ensure we keep our 98% visit first fix achievement, just as we do with dentistry clients because even man’s best friend deserves quality. We want to provide you with the best tools that bring comfort to not only you but to the animal as well.